Fields of History: The Great War is a real-time Grand Strategy game about the First World War. Relive this period of History by choosing a country and managing all the political, economic, technological and military aspects. Lead your Nation throughout the Great War to emerge victorious. Impose your vision of the world or thwart History by rewriting it, it's up to you! Surround an enemy Division to make Prisoners of War (POWs) and use them in your industries as a labour force. 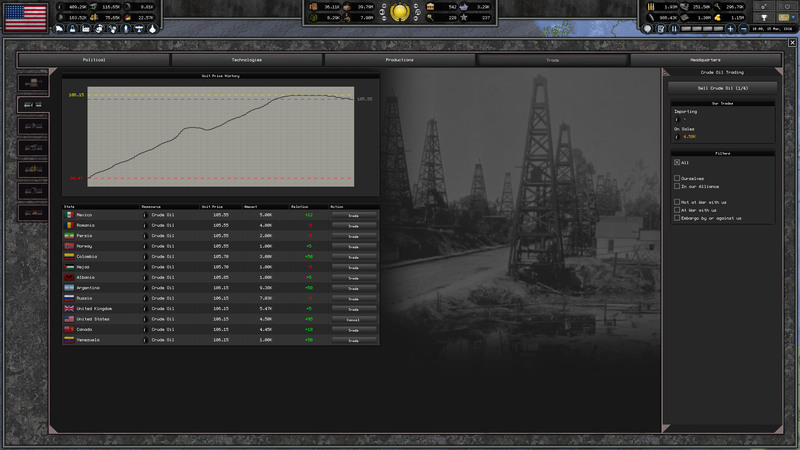 We have always wanted to create a Grand Strategy Game about the First World War. In 2016, before the release of Hearts of Iron IV, the idea of creating a total conversion mod of the game on this period appeared naturally. Working on our free time and outside of working hours, it was for us the opportunity to achieve in part this desire. In our opinion, it's a period that is under represented in the world of video games and we wanted to contribute at our level. 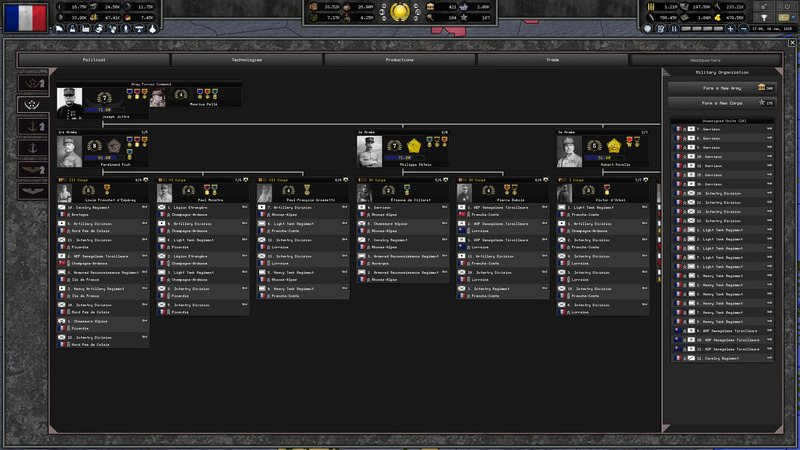 This is how on November 11, 2016, Hearts of Iron IV: The Great War was released after several months of work for our greatest happiness. Shortly after the release, it has been awarded the 3rd place in the 2016 Mod of The Year contest organized by Mod DB. To date, it has over 300,000 Subscribers on the Steam Workshop. 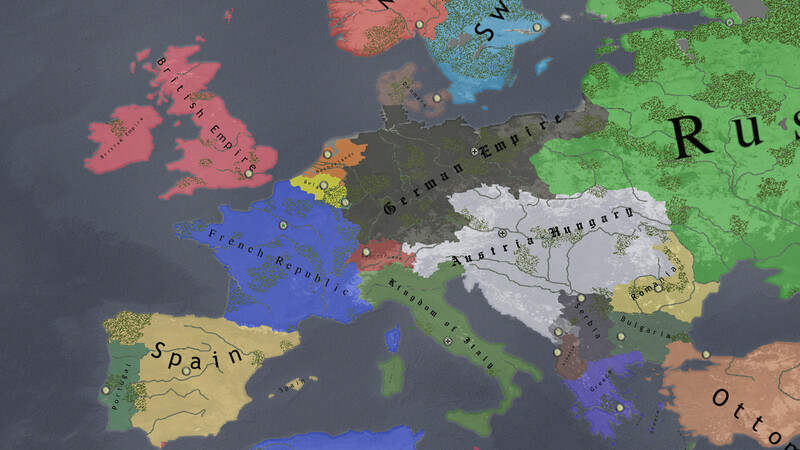 We've always tried to implement our ideas and players' suggestions into the Mod as best as we could but we soon realized that it would be more and more difficult to put everything in place without entering into conflict with the technical limitations of the Modding Tools offered by Hearts of Iron IV. That's why we started to create and develop our own Grand Strategy Game Engine as we wanted and that's how Fields of History: The Great War came to life. For over a year and a half now, without any financial incomes, we are working hard day and night to develop our game. Although only two in the studio, without any external help and without any intermediary, we're conceiving all that is necessary to develop the game. From Programming to 3D Models and Animations, from Game Design to Artifical Intelligence, from Shaders to Sounds, we're doing severals jobs at once. It's for us the biggest challenge of our lives. We know pretty well how hard game development can be, the ups, the downs, the unexpected problems wich can sometimes lead to changes and delays but at the end, we're still here, developping our game, doing what we love and what we believe in. Today, One Hundred Years after the Armistice of Compiègne, it's possible for us to show our work to you! We think that it's always for the better to have an external look at what we've accomplished so far. We've hesitated for a long time between Kickstarter and Patreon. We've choosed Patreon because it allows us to sell our game in Early Access and it also greatly facilitates the communication between developers and players. By supporting us on Patreon, you can get the game as soon as it will be available on Steam but also participate in the game development by giving us your feedbacks, your suggestions and your opinions during the polls. By doing so, you are supporting our work and keep us motivated! We look forward to talk to you soon. Thank you and Welcome among us!